My journey began with Canada’s Centennial, 1967, when I collected old Canadian medicine bottles. I studied and probed to discover that each category of antiques has its own intriguing qualities that reflect our society and times. Forty-seven years later I am still hooked on antiques; they are my drug! 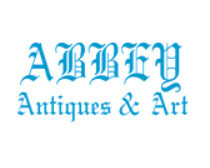 Now, you will find my passion includes silver, porcelain, pottery, glass, fine furniture and art, as well as our heritage pieces, such as folk art, country furnishings, and fabrics.